Testimonial For Alati's Inspection Service from Nick J Alati on Vimeo. Peter Ellefson, President of EPL Realty Group, seeks out Nick’s experience to decide what to buy and what not to buy. He let’s Nick watch his back! You saved us from a financial sinkhole! Watch this video to hear how a fellow industry professional views working with Nick Alati. Greg Olsen has known Nick Alati for twenty years and consults with him on plumbing and air conditioning situations. Danny Balanon of GMAC Real Estate shares his endorsement of Nick Alati. He says he is extremely happy with his service and has never had any complaints. Watch this video to hear more about Nick’s services and how his reports and pictures are so helpful. Testimonial For Alati’s Inspection Service from Paul Weldon from Nick J Alati on Vimeo. Paul Welden with Home Smart Realty says he’s recommended Nick to all of his clients for the last three years. 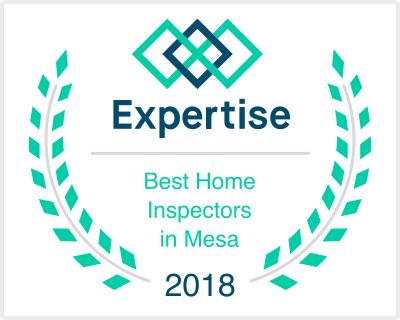 Paul feels that Nick’s inspection reports are thorough, complete, and one of the most detailed reports he has ever seen when it comes to homes. Testimonial For Alati’s Inspection Service from Al Martochio from Nick J Alati on Vimeo. I network with Nick Alati from Alati’s Inspections. I used him to pre-inspect a home I had for sale in Mesa, Arizona. I followed the recommendations I was given from the report that he gave me and I feel that dramatically improved the foot-traffic.